For South Koreans, the biggest threat to peace isn't North Korea but the United States. With Donald Trump scheduled to address the South Korean parliament today, Jacobin’s Seth Ackerman spoke to Tim Shorrock, a veteran journalist who’s covered the Koreas for decades. 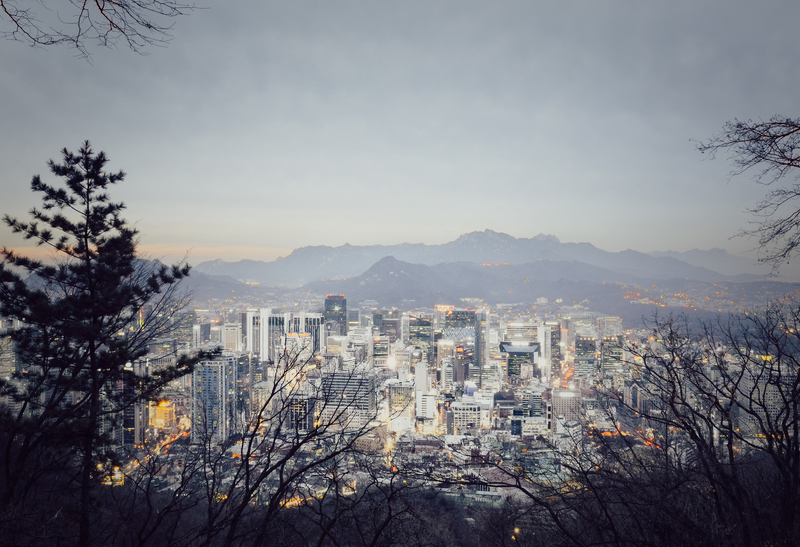 Shorrock describes how a vibrant South Korean left with roots in the labor and democracy movements of the 1980s is coping with the latest security threat in the White House. Despite a conservative military establishment with deep ties to the US security state, South Koreans are seeking dialogue with the North. Everyone focuses on Trump’s bluster on North Korea, but less attention is paid to how things are seen south of the demilitarized zone. What’s the mood in South Korea these days? According to one poll, 80 percent of South Koreans support South-North engagement: direct negotiations, talks on military issues, and family visitations. There’s enormous support for the kinds of cultural and economic exchanges that existed during the years of the “sunshine policy” of 1998 to 2008. They want peace with North Korea. That was the platform that Moon Jae-in, the current president, was elected on this spring. South Koreans are more afraid of what Trump might do than what Kim Jong-un will do. They’re worried about a war between the US and North Korea that would spill over into South Korea. For example, there were reports over the summer that Trump was considering a unilateral preemptive strike to take out two or three dozen missile sites in North Korea. That was very alarming to Moon Jae-in’s government. The night that story came out, Moon’s national security advisor asked for a meeting with H. R. McMaster, his counterpart in the White House. They put out a statement the next day that the US will not act unilaterally and will consult closely with South Korea on any action. That was a sign of how much concern there is within the South Korean government. A similar pledge was made just before Trump arrived in Seoul for his state visit. Moon was an activist who came out of the progressive democratic movement — a labor lawyer in Busan who was arrested at least twice during the period of military dictatorship. His political roots are in the democratic and opposition movement from the period before democratization. I saw Moon campaign in Gwangju twice this spring. He held a photograph of his progressive predecessors as president, Kim Dae-jung and Roh Moo-hyun, above his head, signaling that he was following in their footsteps. Kim Dae-jung, the originator of the sunshine policy toward North Korea, had been an opposition leader who was almost murdered by Park Chung Hee in the 1970s and nearly executed a decade later by the Chun Doo-hwan military government. He then spent years in exile in the US, came back to Korea, and was eventually elected president in 1998. So he’s the one who started that whole policy of détente with the North. His successor, Roh Moo-hyun, pursued it, too. As Roh’s chief of staff, Moon went to North Korea for a summit with Kim Jong Il in 2007. The US did not like Roh at all because he was not 100 percent behind US military and strategic policies in Korea. What provoked last May’s snap election that brought Moon to power? The previous, right-wing president, Park Geun-hye, was impeached over corruption, including her relationship with some of the country’s largest conglomerates, like the Samsung Corporation. She and her government completely botched the attempted rescue of a ferry that capsized near Jeju Island in 2014, and over three hundred high school students and their teachers died needlessly as a result. Everywhere you go in South Korea now, people still wear the yellow ribbons that signify solidarity with the victims and anger at the sheer incompetence of the Park government. And then, of course, Park had a relationship with a shaman, a sort of guru, who was not part of the government but who was reading her papers and writing her speeches. She began to look like a wacko. The so-called Candlelight Movement was launched in response, a series of demonstrations calling for her removal. It was very peaceful. People stood with candles weekend after weekend. During months of peaceful assembly, there wasn’t a single injury or arrest. Finally, the National Assembly voted to impeach. A lot of the charges were upheld by the Constitutional Court, and now she’s in jail. As of November, she was still in her cell as her trial continues. She wasn’t held in the Ritz-Carlton, like the Saudi billionaires who were just arrested in Saudi Arabia. The demonstrations had been organized by a pretty broad-based cross-section of civic organizations and labor unions. I interviewed Moon Jae-In two days before his election, at a time when he was way ahead in the polls. He told me his expected election win was a continuation of the democratic movement that started in 1960 with the revolution against Syngman Rhee, running through the 1980 Gwangju uprising, and now the Candlelight Movement. So there was a lot of hope connected with him. Probably the most serious issue facing workers now is youth unemployment and underemployment. Fifty percent of laborers are classified as precarious workers. They don’t have full-time jobs. They’re hired by contract, they don’t have benefits. The first thing Moon did as president was to go to Incheon Airport, where there are precarious workers employed by the government; he went to show solidarity and to say that the public sector should begin reforms by ending the system of precarious labor. Unions that backed him had made precarious work their number one issue in the elections, and appreciated that act. Does the labor movement tend to take a more dialogue-oriented approach to North Korea? There are two big federations. The KCTU (Korean Confederation of Trade Unions) grew out of the democratic and labor movements of the 1980s and was based on a CIO style of organizing. In the late 1980s there was a whole series of organizing drives in heavy industry where a lot of these big conglomerates like Samsung had previously kept unions out. So the KCTU organized industrial unions, and they’ve been very aggressive about organizing temporary workers. On foreign policy, the KCTU has been at the forefront against war. They’ve actually had soccer tournaments with North Korean labor unions. The FKTU (Federation of Korean Trade Unions) represents hotel workers and transport workers. They’re less assertive in terms of foreign policy, closer to the AFL-CIO’s way of not tackling foreign policy. In fact, a relationship has existed between the AFL-CIO and FKTU for decades, whereas relations between the KCTU and AFL-CIO have been shaky. Though they’ve improved in recent years: at the last AFL-CIO convention, the KCTU president Han Sung-gyun, who’s been in prison since December 2015 for organizing what the Park government called an “illegal” labor demonstration, was honored by US unions with its human rights award. Is there anything South Korea can do to make it harder for the Trump administration to pursue its hardline policies toward the North? Moon is adamant that he wants diplomacy to work and that there cannot be another Korean War. He says it again and again. If Trump hasn’t heard it, H. R. McMaster and James Mattis have. People in South Korea think Moon should be doing a lot more. But South Korea is the only country in the world where a foreign general is in charge during times of war. There’s a joint US-South Korean command structure and in wartime, it falls under the command of a US general. So if there was a war today, the entire Korean military would be under US command. These relationships go back six or seven decades. They exist between every branch and every level of the US and South Korean militaries. And Korean military leaders tend to be more conservative — that’s who the US interacts with. I think when Trump goes to Korea we’re going to see huge demonstrations. There’s going to be a big labor mobilization over the issue of temporary workers — there’s been an attack on collective bargaining there for quite a few years, so the protest will be focused on strengthening workers’ rights and labor rights along with lessening the power of the big conglomerates. The American left needs to expand relationships with South Korea. They have really vibrant unions, a really vibrant civil society. The large coalitions are really something. Americans on the Left ought to pay more attention to what’s going on there. I mean, here we are trying to get rid of a corrupt, racist president, and we have a lesson right in front of us in how to do it. It requires persistence and organizing, week after week, month after month. Tim Shorrock is a Washington-based journalist who grew up in Tokyo and Seoul. He has been writing about Korea, North and South, since the late 1970s. His reporting appears regularly in the Nation and Newstapa / The Korea Center for Investigative Journalism.